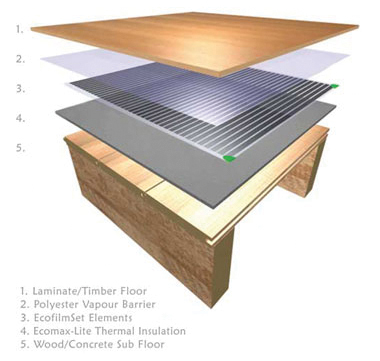 The terms radiant heating and radiant cooling are commonly used to describe this approach because radiation is responsible for a significant portion of the resulting thermal comfort but this usage is technically correct only when radiation composes more than 50% of the heat exchange between the floor and the rest of the space. 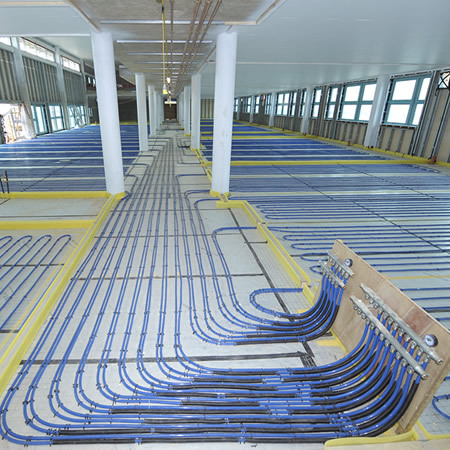 Underfloor heating systems use either electrical resistance elements (“electric systems”) or fluid flowing in pipes (“hydronic systems”) to heat the floor. Either type can be installed as the primary, whole-building heating system or as localized floor heating for thermal comfort. 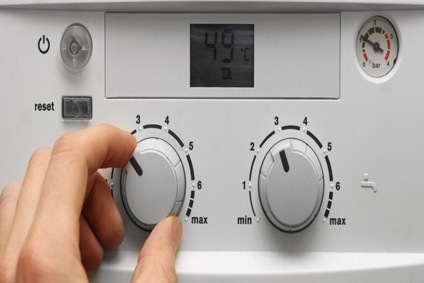 Electrical resistance can only be used for heating; when space cooling is also required, hydronic systems must be used. Other applications for which either electric or hydronic systems are suited include snow/ice melting for walks, driveways and landing pads, turf conditioning of football and soccer fields and frost prevention in freezers and skating rinks. A range of underfloor heating systems and designs are available to suit different types of flooring.